Rootes, Andrew [Compiled by] Higham is a large village bordering the Hoo Peninsula, in Kent, between Gravesend and Rochester. The civil parish of Higham is in Gravesham district. 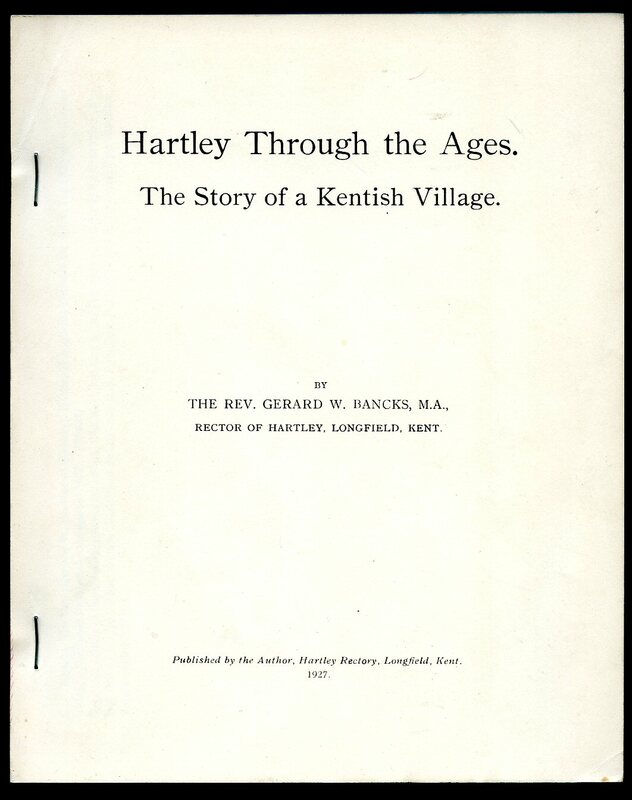 Published by Higham Village History Group, Kent First Edition 2007. Kent 2007. First edition in publisher's original illustrated card wrap covers [softback]. 4to 12'' x 8¼''. Contains 88 printed pages of text with archive monochrome photographs throughout. 1 of 1000 copes. In Fine condition, no dust wrapper as published. Member of the P.B.F.A. Rootes, Andrew and Sue Williams [Compiled by] Higham is a large village bordering the Hoo Peninsula, in Kent, between Gravesend and Rochester. The civil parish of Higham is in Gravesham district. 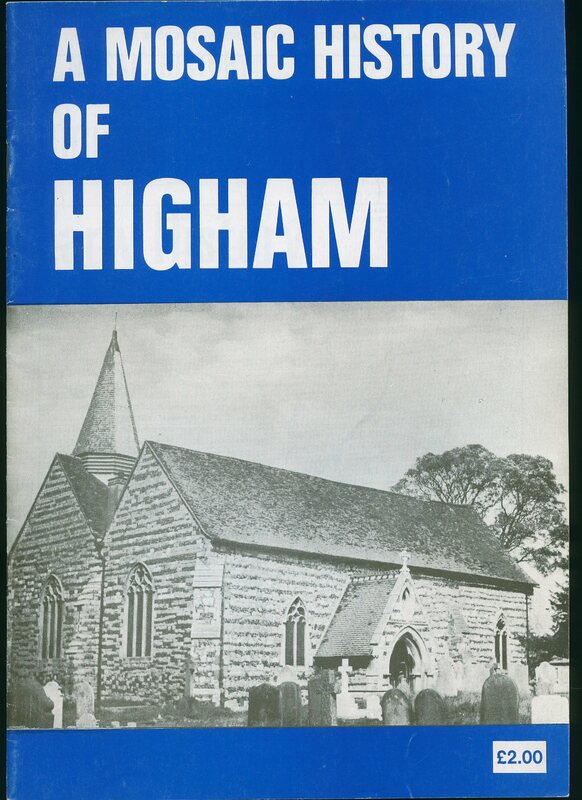 Published by Higham Village History Group, Kent First Edition 2004. Kent 2004. First edition in publisher's original illustrated card wrap covers [softback]. 4to 12'' x 8¼''. 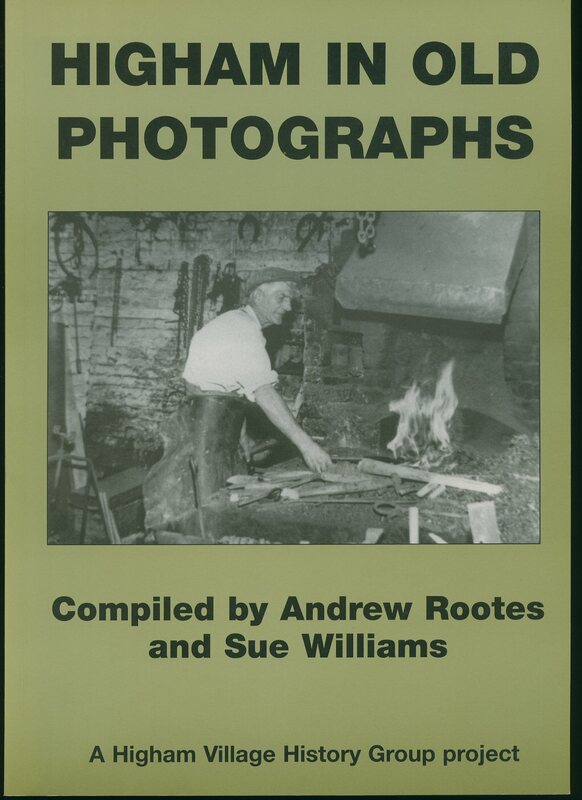 Contains 88 printed pages of text with archive monochrome photographs throughout. 1 of 1000 copies. In Fine condition, no dust wrapper as published. Member of the P.B.F.A. 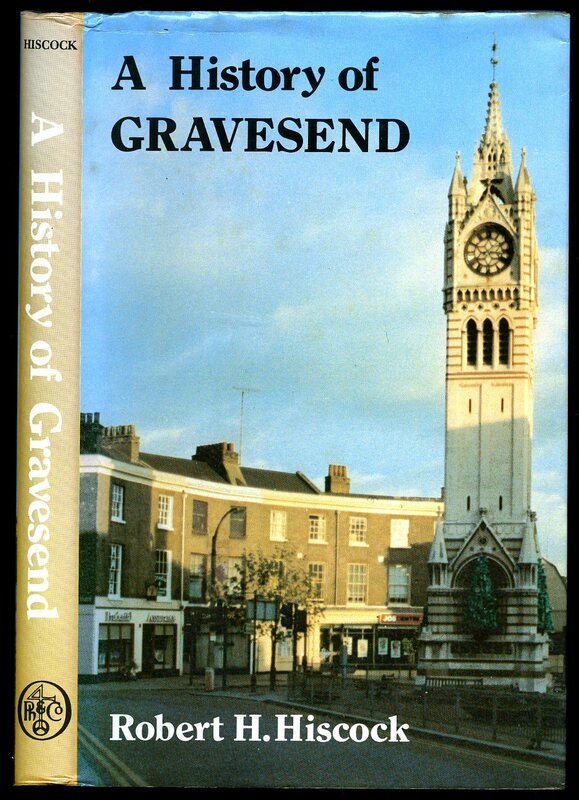 Published by Aerocomm Ltd., Grays, Essex First Edition 2009. 2009. 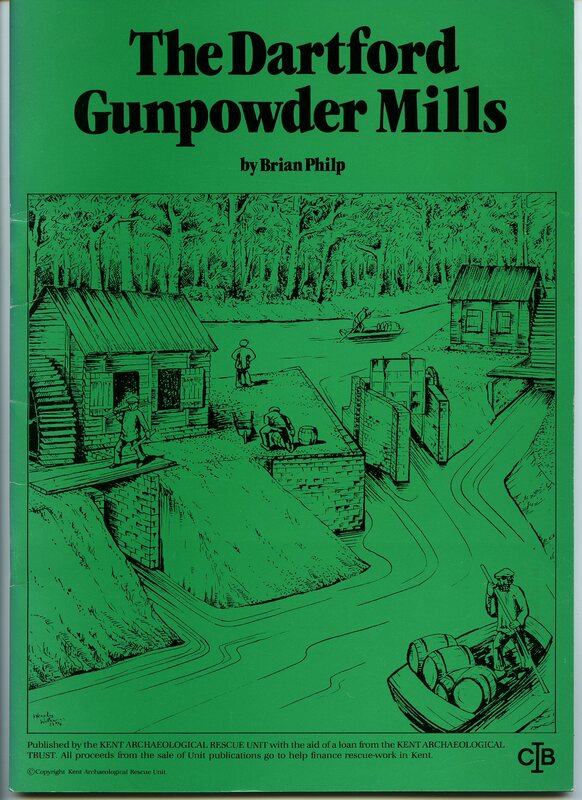 Published by Phillimore & Co. Ltd., Shopwyke Manor Barn, Chichester, Sussex 1981. 1981. First edition hard back binding in publisher's original navy cloth covers, gilt lettering to the spine. 8vo 8½'' x 5¼'' 159, ii [pp] ISBN 0850332427. Monochrome illustrations throughout. Light foxing to the page edges. Very Good condition book in Very Good condition dust wrapper with slight sun fading to the spine, not price clipped. Dust wrapper without any tears or chips and supplied in archive acetate film protection, this is not adhered to the book or to the dust wrapper and can easily be removed should you so wish. Member of the P.B.F.A. Published Privately by the Author 1927. Reprinted edition in stapled plain cream card covers, with black lettering to the first page which forms the front cover. 8vo 8½'' x 7'' 172, i [pp]. Monochrome illustrations throughout, map. Free from inscription and in very near Fine condition. Member of the P.B.F.A. Published by Williams and Norgate Ltd, Little Russell Street, London First Edition 1934. London 1934. 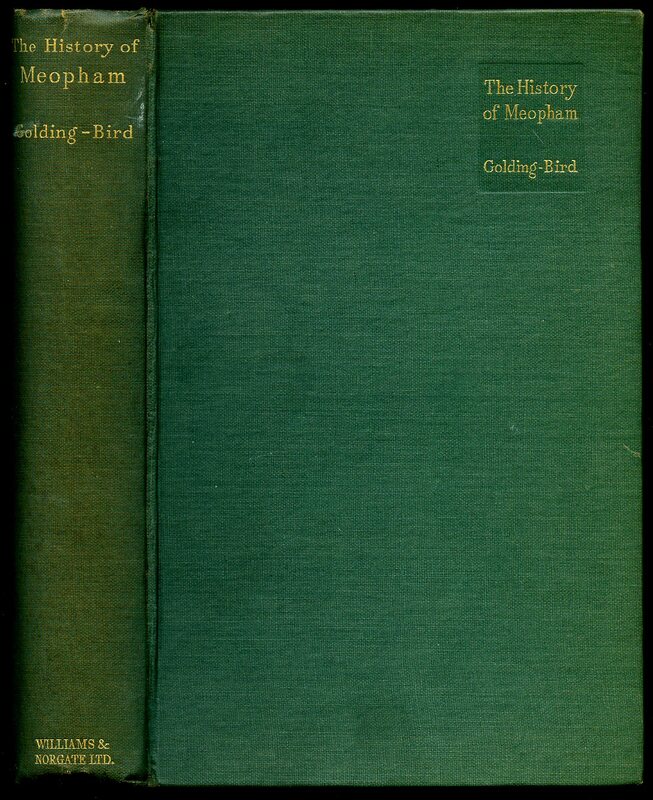 First edition hard back binding in publisher's original green cloth covers, gilt lettering to the spine and the upper panel. 8vo 9'' x 6'' 312, i [pp]. Monochrome illustrations throughout. Small neat address card adhered to the free front end paper, very slight sun fading to the spine, very minor foxing to the lower page edges, corners sharp and pointed and in Very Good clean condition. Member of the P.B.F.A. 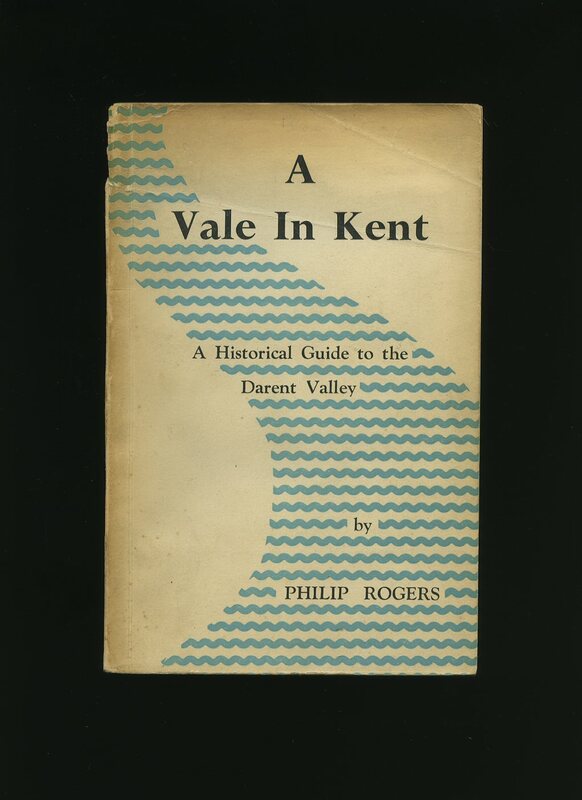 Published by Kent Archaeological Rescue Unit, Dover Castle, Kent 1984. 1984. First edition in publisher's original photographic card wrap covers [soft back]. 4to 11¾'' x 8¼''. Contains 17 printed pages of text with monochrome illustrations, maps, diagrams and photographs throughout. In Fine condition, no dust wrapper as issued. We currently hold in stock 20 other books from this series. Member of the P.B.F.A. 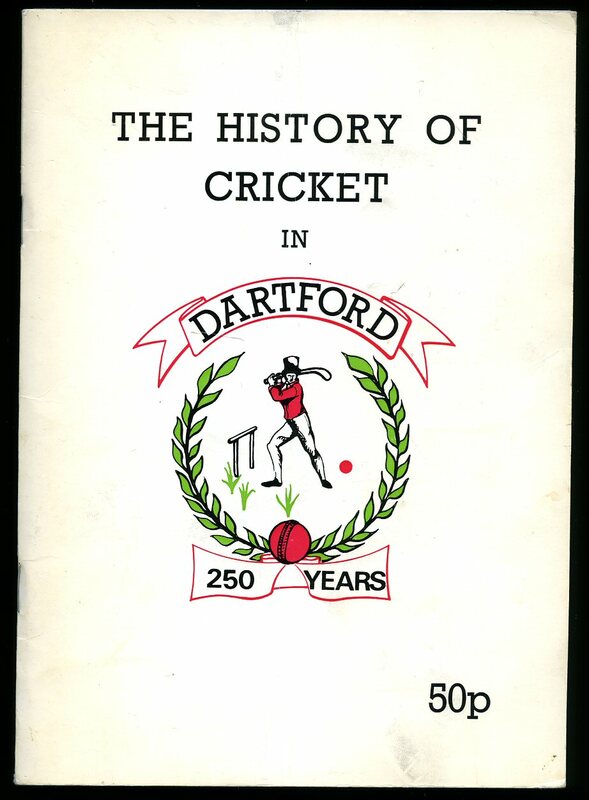 Printed by Dartford Cricket Cub 1977. 1977. Original stapled white card wrap covers with laurel wreath insignia in green and red to the upper panel. 8vo. 8½'' x 6''. Contains 80 printed pages of text with monochrome illustrations and archive photographs throughout, interspersed are local advertisements. In Very Good condition with minor soiling of the white card covers, no dust wrapper as published. Member of the P.B.F.A. 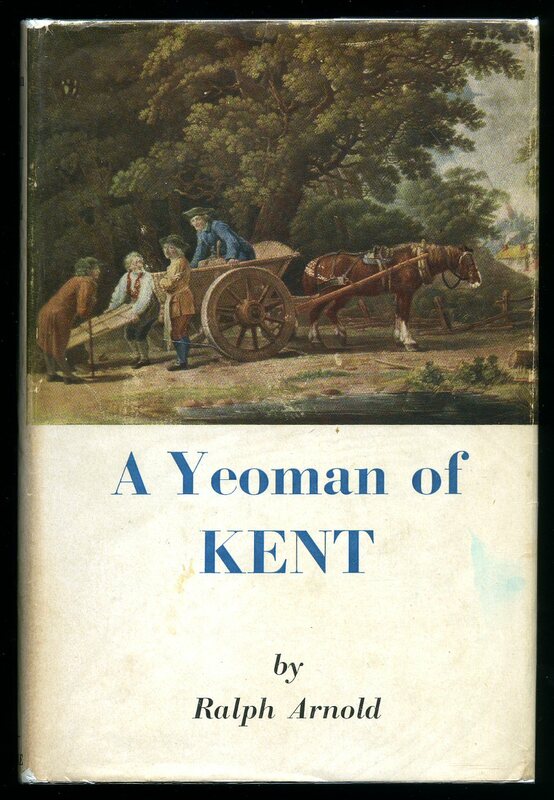 Published by Constable and Company Ltd., 10-12 Orange Street, London First Edition 1949. London 1949.
photographs throughout and colour illustrated frontispiece, ordnance survey maps to the end papers. Very little wear to the covers. Very Good condition book, in Very Good condition colour illustrated dust wrapper with slight age darkened spine, small nicks to the spine ends shallow rubs to the front fore edge, price clipped. Dust wrapper supplied in archive acetate film protection, this protects and prolongs the life of the paper, it is not adhered to the book or to the dust wrapper. Member of the P.B.F.A. 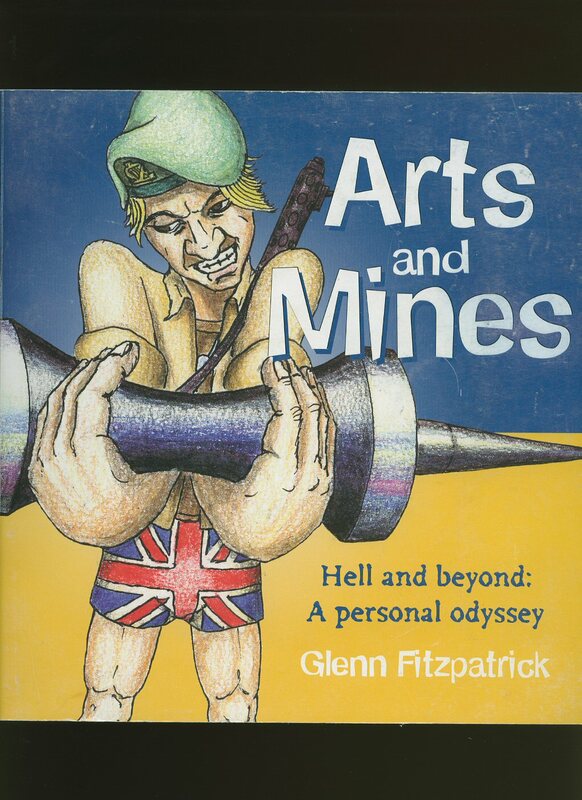 Published by Tempus Publishing Limited, Brimscombe Port, Stroud, Gloucestershire Reprinted 2002. Gloucestershire 2002. 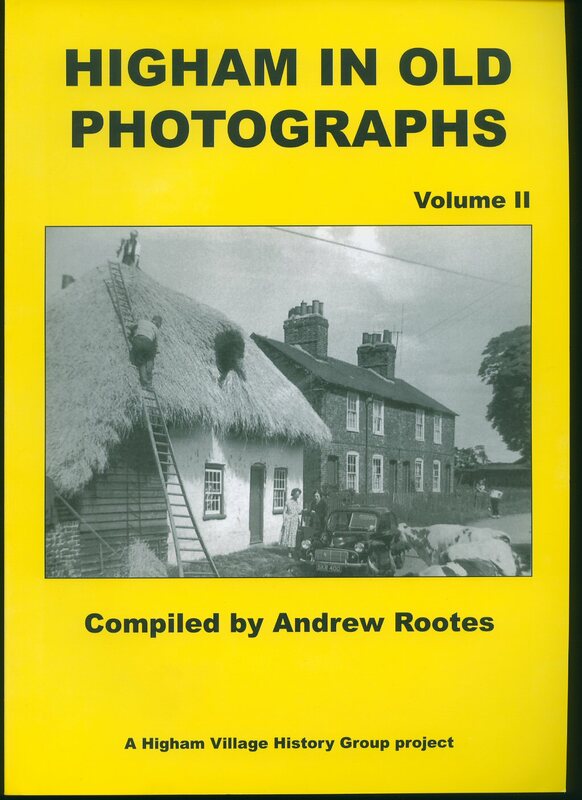 Rootes, Andrew [Edited by Ian Craig] Higham is a large village bordering the Hoo Peninsula, in Kent, between Gravesend and Rochester. The civil parish of Higham is in Gravesham district. 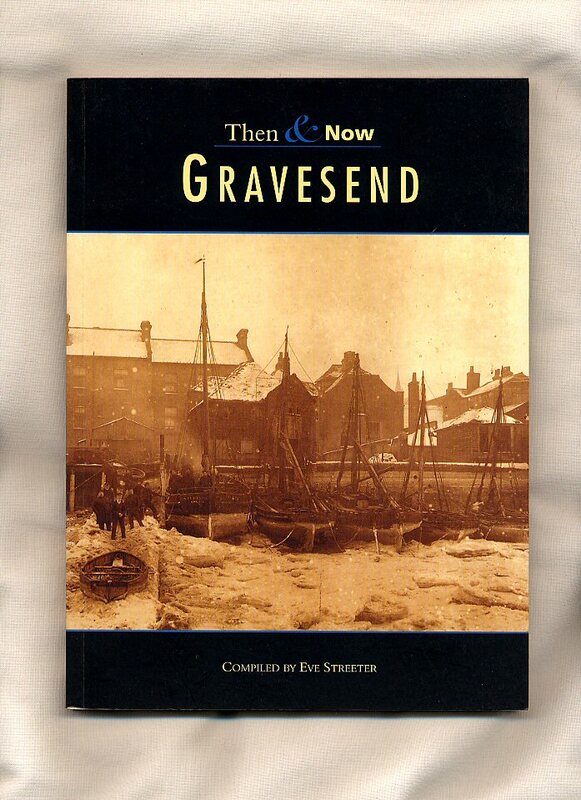 Published by Reader & Phillips, 121a Barnsole Road, Gillingham, Kent Reprinted 1991. 1991. Publisher's original illustrated card wrap covers [softback]. 4to 12'' x 8¼''. Contains 29 printed pages of text with monochrome illustrations and photographs throughout. Shelf rubs to the gutters and in Very Good condition, no dust wrapper as published. Member of the P.B.F.A. 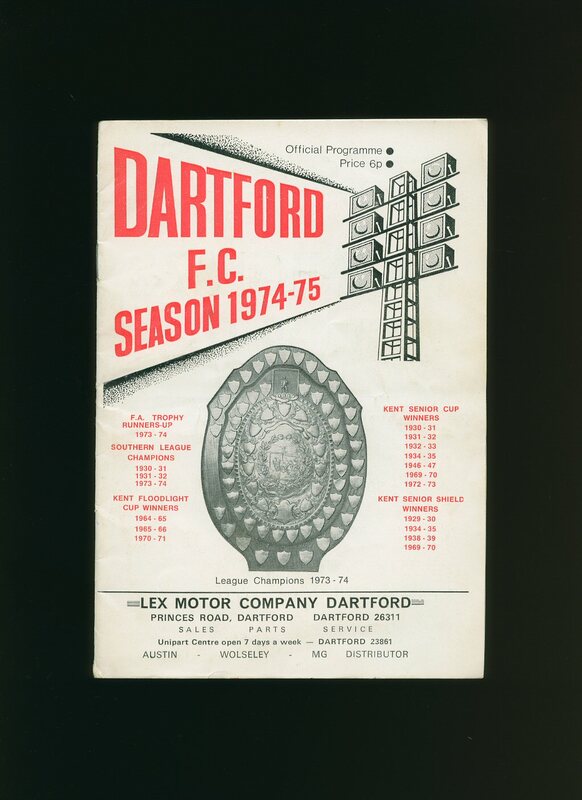 Dartford Football Club Season 1974-75 Official Programme Dartford V Tonbridge Saturday 26th October 1974. Printed Saturday 26th October 1974. Stapled white paper covers 8'' x 5¼''. Contains 16 pages. Score 1-1 written in ink next to the team lists to the centre pages. In Very Good clean condition. Member of the P.B.F.A. 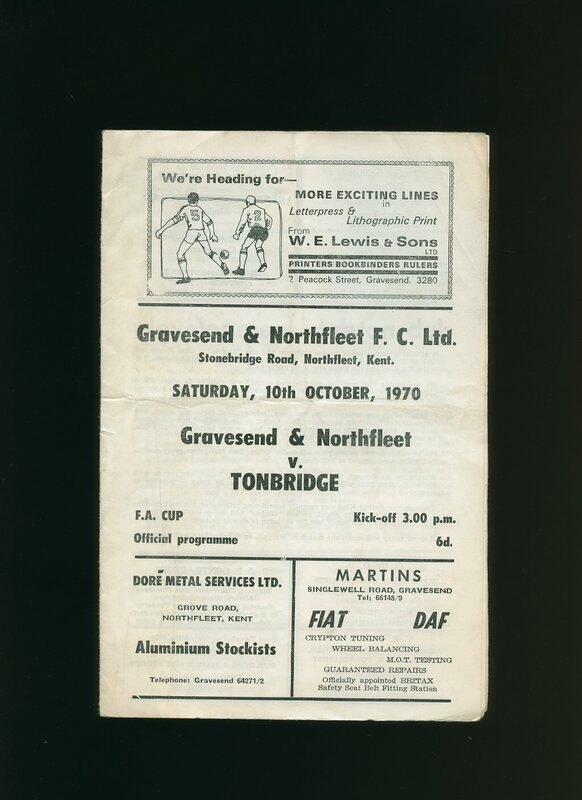 Gravesend & Northfleet Football Club V. Tonbridge Official Programme Saturday 10th October 1970. Printed Saturday 10th October 1970. Stapled white paper covers 8½'' x 5¼''. Contains 8 pages. In Very Good clean condition. Member of the P.B.F.A. Printed Monday 3rd April 1967. Stapled white paper covers 7'' x 5''. Contains 12 pages. 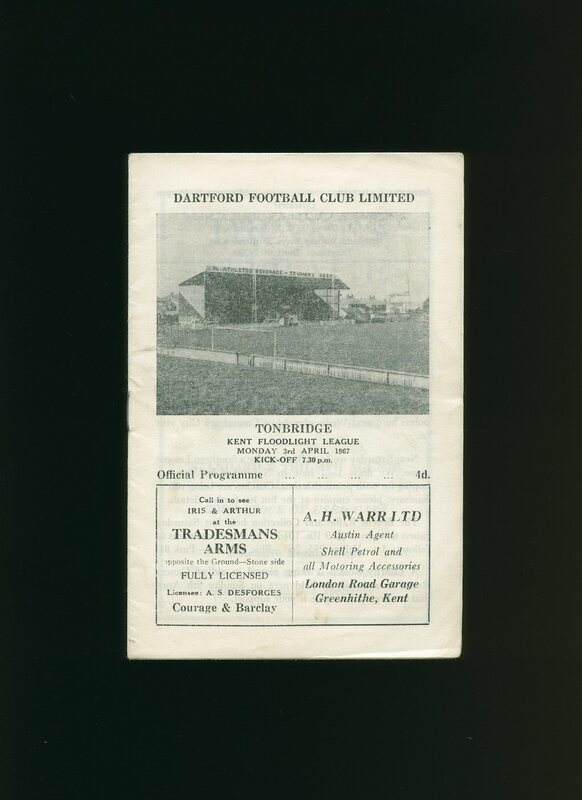 Score 1-2 to Tonbridge written in ink next to the team lists to the centre pages, also with team changes. In Very Good clean condition. Member of the P.B.F.A. Published by P. M. E. Erwood Ltd., 13 High Street, Welling, Kent Review Copy 1955. Kent 1955. First edition in publisher's original illustrated card wrap covers [softback]. 8vo. 8½'' x 6''. Contains 150 printed pages of text with monochrome illustrations and photographs. Age darkening, sun yellowing, creases, light rubs and dust marking to the cover and dust marked and yellowed closed page edges, top spine end missing. In Good condition, no dust wrapper as issued. Member of the P.B.F.A.